Hospital Radio Norwich is a voluntary organisation and registered charity whose aim is to relieve the stress and distress of hospitalisation by befriending patients at their bedsides and entertaining them through broadcasting. Each evening [except Sundays] a personal choice of music and dedications are played on our popular request programme to the Norfolk and Norwich University Hospital. Apart from the request programmes, we broadcast 24 hours with a wide variety of music to satisfy every musical taste and aimed specifically for hospital patients, as well as programmes and interviews with local and visiting personalities. Also broadcast from Sky News, during the day on the hour, is a two-minute National news bulletin. For the sports fans we have full live commentary of all Norwich City home games from our own commentary team. Occasionally outside broadcasts of local events are featured. Our complete programme schedule and channel are published elsewhere on this site. There is no charge for this service to patients. The bedside media units carry the radio service free of charge - the unit just needs to be registered to the patient. Our ward visitors are able to undertake this task for the patient. HRN is totally self-financing.We rely heavily on grants and contributions from both individuals and local businesses and may we here extend our grateful thanks to those who have assisted us in the past. If you would like to send us a donation you can do it online by clicking this link - Donate now. also if you wish to donate a small amount on a regular basis click here for regular giving Thank you. 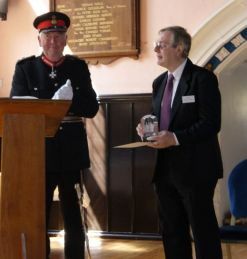 We are also indebted to the ongoing practical support of the Norfolk and Norwich University Hospital NHS Foundation Trust. HRN is at the very heart of serving the patients and will continue to do so. Mike Sarre, Hon. Chairman, Hospital Radio Norwich. 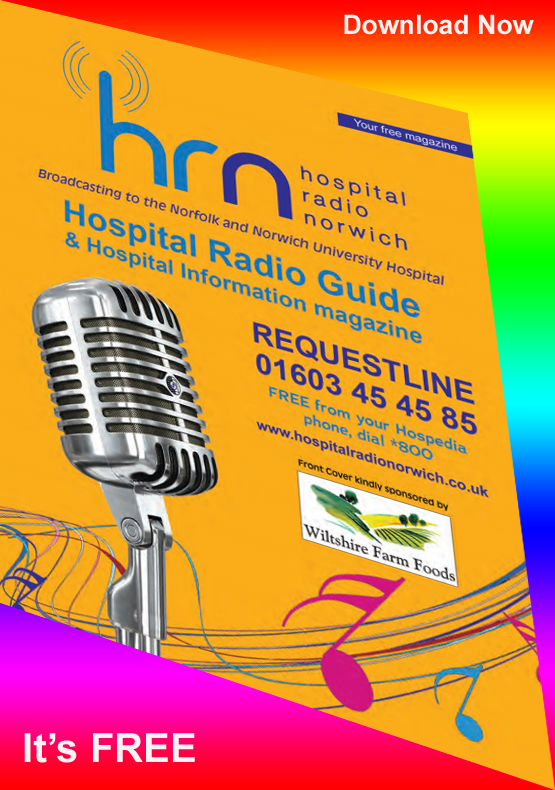 Hospital Radio Norwich through the media of radio helps to relieve sickness, stress and distress caused to patients as well as to distract from the monotony of hospital routine. We also assist the hospital by giving general information and health messages. HRN like any other organisation requires funds to pay for things like, maintenance and replacement of our equipment, administration requirements so we need to raise funds. Below are some of the ways in which you can help us. which includes program details quizzes and general information. NOTE: Printed copies are now out of stock. We are awaiting a new edition from our publishers but you can still view this edition on line here. Began broadcasting from and to the West Norwich Hospital [Norwich Community Hospital] in December 1974 as well as the former Norfolk & Norwich Hospital replaced by the new Norfolk & Norwich University Hospital in 2000.